Happy December and the first day of No Empty Chairs’ Tenth Annual “Twelve Days of Christmas Cookies”. This year, I am reaching back into the blog-files to share twelve of our family’s very favorite Christmas cookies. First up is a shortbread style cookie studded with candied cherries and pecans. This is a great make-ahead dough that you can pull out and slice anytime. Bake just a few at a time, or a whole batch. Roll the dough into a log and it can be stored in the fridge or freezer until you are ready to bake. Use a sharp knife to slice dough into rounds that are about 3/8” thick. Christmas is a wonderful season to both spend time with family and loved ones and to reach out beyond our normal sphere of influence. See below for ideas on how you can light the world in all areas of your life. Cream butter and powdered sugar; blend in egg and vanilla. Mix in flour and then add pecans and cherries. Chill dough for 1-2 hours. Shape into 2 logs with about 2” diameter. Roll in waxed paper or plastic wrap. Chill for at least 3 hours. Cut into slices about 3/8” thick and bake for 13-15 minutes. Do not let cookies brown. 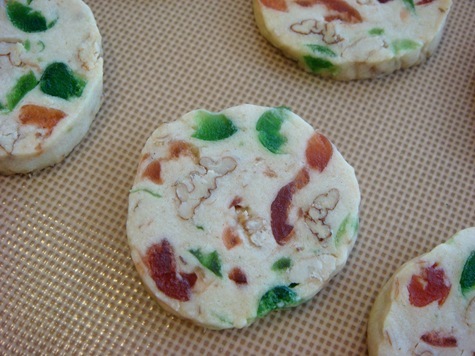 Traditional flavors of Christmas, all swirled into a bite-sized cookie. 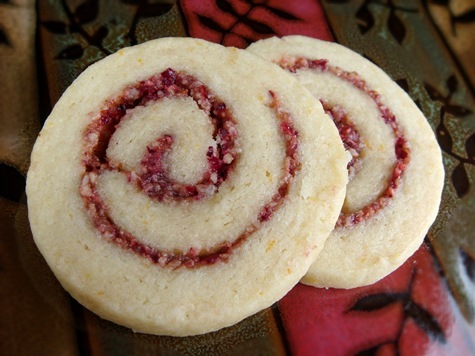 Buttery orange dough swirled with chopped fresh cranberries and pecans. A delicious cookie for the grown-up cookie plate. In a large mixing bowl beat butter with an electric mixer on medium to high speed for 30 seconds. Add granulated sugar, baking powder, and salt. Beat until combined, scraping sides of bowl occasionally. Beat in eggs and orange peel until combined. Beat in as much of the flour as you can with the mixer. Stir in any remaining flour. Divide dough in half. Cover and chill dough about 1 hour or until easy to handle. For filling, in a food processor combine cranberries, pecans, and brown sugar. 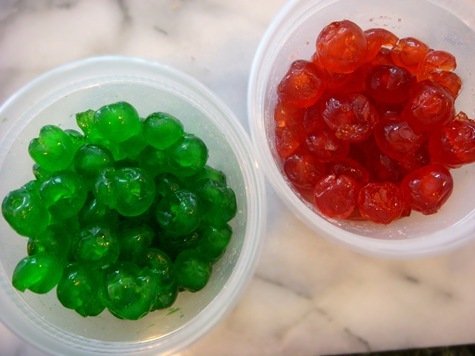 Cover and blend or process until cranberries and nuts are finely chopped; set filling aside. 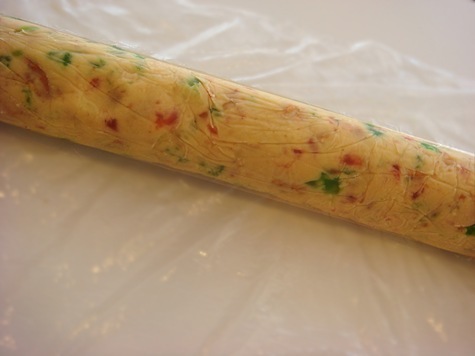 Roll half of the dough between pieces of waxed paper (or plastic wrap) into a 10-inch square. Spread half of the filling over dough square to within 1/2 inch of edges; roll up dough. Moisten edges; pinch to seal. Wrap in waxed paper or plastic wrap. Repeat with remaining dough and filling. Chill for 4 to 24 hours. Cut rolls into 1/4-inch slices . Place slices 2 inches apart on an ungreased cookie sheet. Bake in a 375°F oven for 8 to 10 minutes or until edges are firm and bottoms are lightly browned. Cool on cookie sheet for 3 minutes. Transfer to a wire rack and let cool.